At only 21⁄2 inches high, the World Tableware NR-1 is a low profile drinkware option. The NR-1 mug has a 7-ounce capacity and has a small handle, curved to make lifting to drink easy. 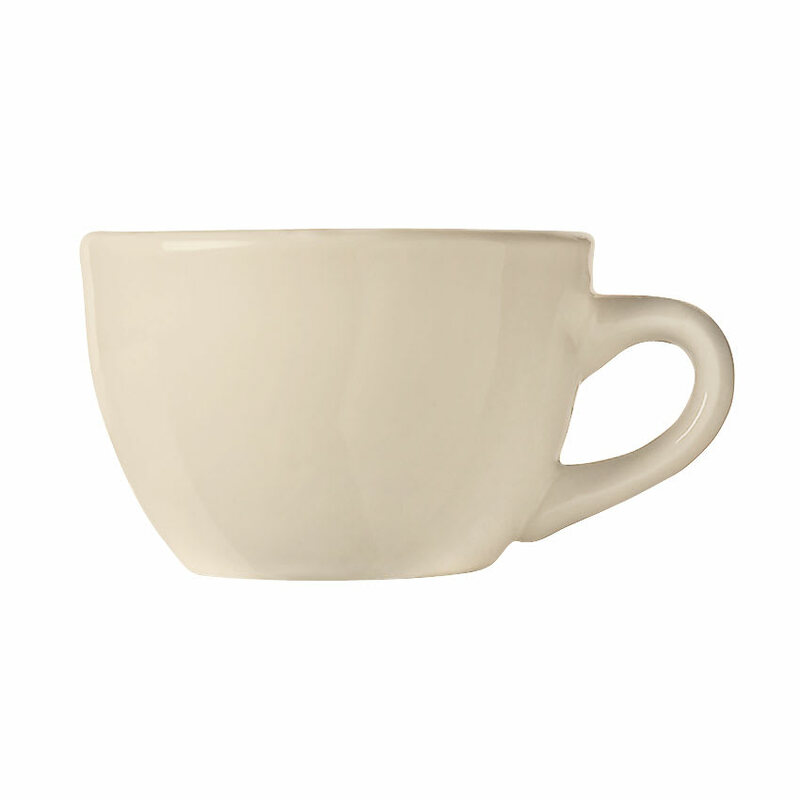 As part of the Kingsmen Ultima pattern, this mug is cream white in color, and is safe to use in commercial microwaves and dishwashers. Overall Dimensions: 21⁄2 in. H x 35⁄8 top dia. x 47⁄8 in. max dia.